Not every day falls in the Quick Day category and there have been requests to be able to add a custom one-off day to the calendar. 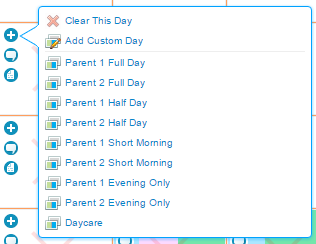 Now there is a new “Add Custom Day” option from the Quick Days menu to insert a custom day. 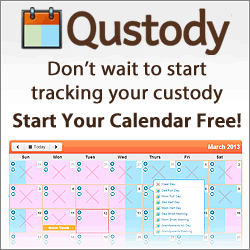 Have you entered a Quick Day into your custody calendar and wondered what the exact time breakdown was? Well, now you can pop up a small window to see the breakdown. Every day that has time assigned will have an “i” icon below the notes icon. Click it for details! 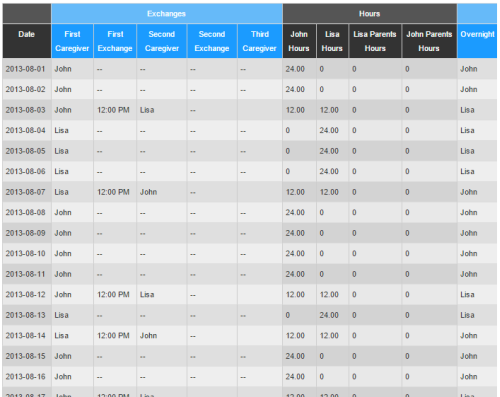 Another often requested feature is a report that shows the detailed times, caregivers and exchanges on one report. Now, if you go to the reporting section you can click on “Detailed Breakdown” and get just that…check it out!